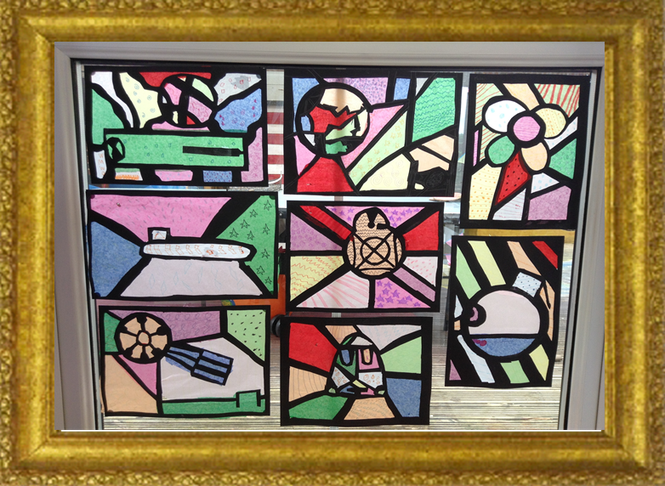 We used a pencil to draw pictures in polystyrene tiles. 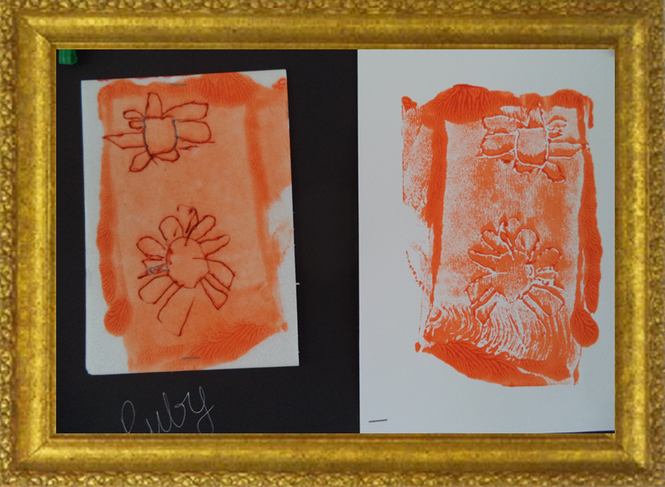 We then covered them with paint and pressed them onto paper to create beautiful flower prints. 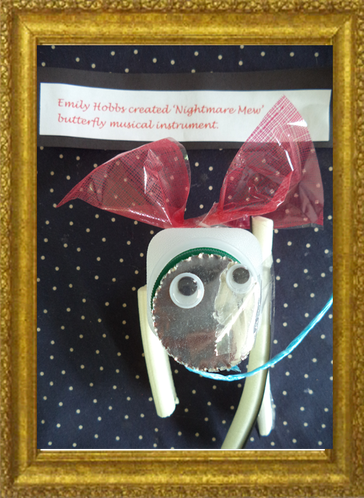 We used our empty milk cartons to make 3D bugs. We had to think carefully about what we needed to add to them to make then look like the different bugs. their Alice poems they created at the beginning of Creative Arts Week. 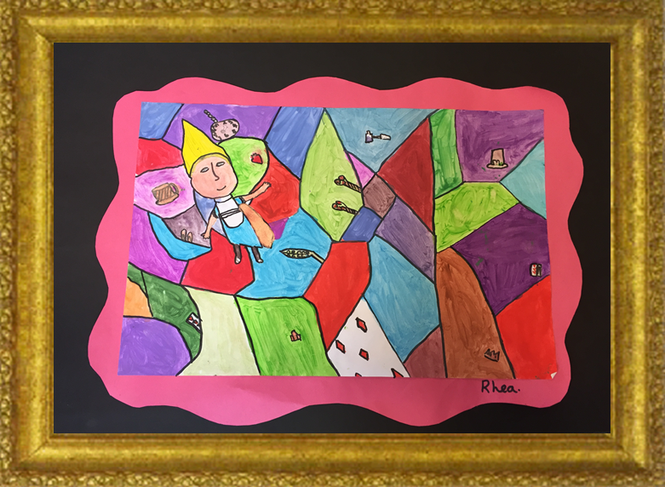 They were influenced by Abstract Artists such as Wassily Kandinsky and Henri Matisse and created abstract paintings that showed Alice falling down the rabbit hole. Can you see spot any other things from Alice in Wonderland in their paintings? Class 5 have been looking at Greek pottery as part of their topic work. 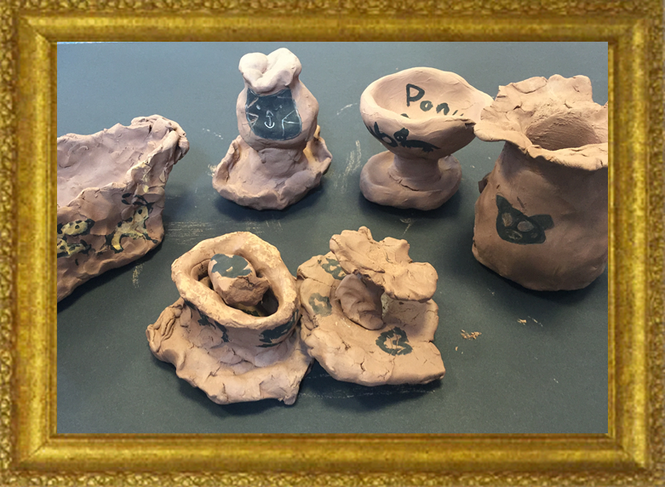 They used clay to sculpt their pots and then used black paint to tell the story of a fable they had written during English. 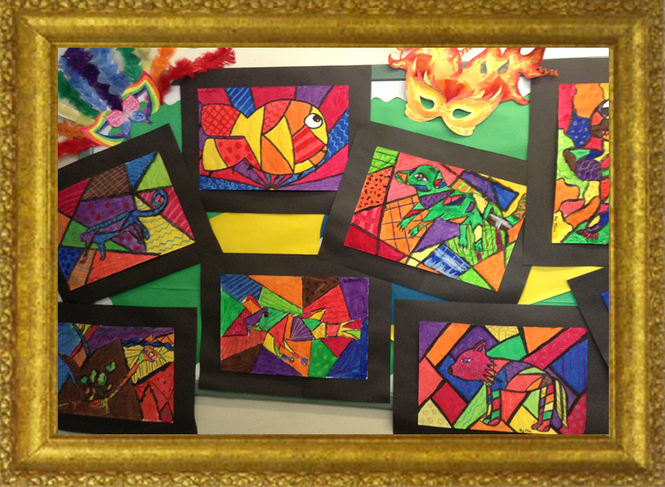 Artwork in the style of Romero Britto (Brazilian artist).